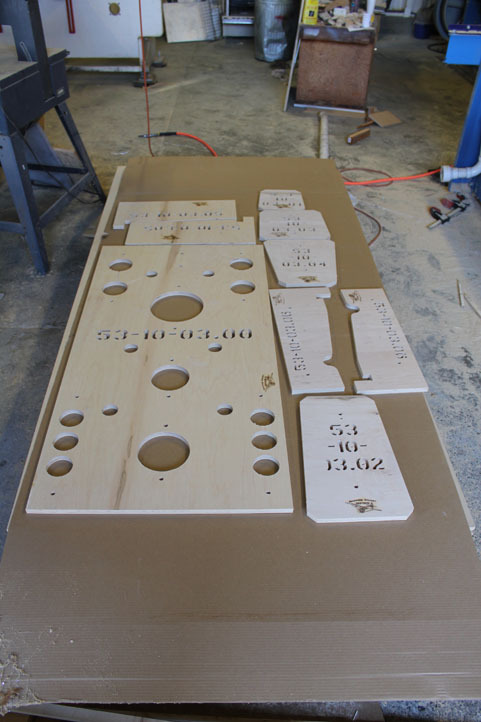 The 1st fuselage welding fixture kits begin shipping. 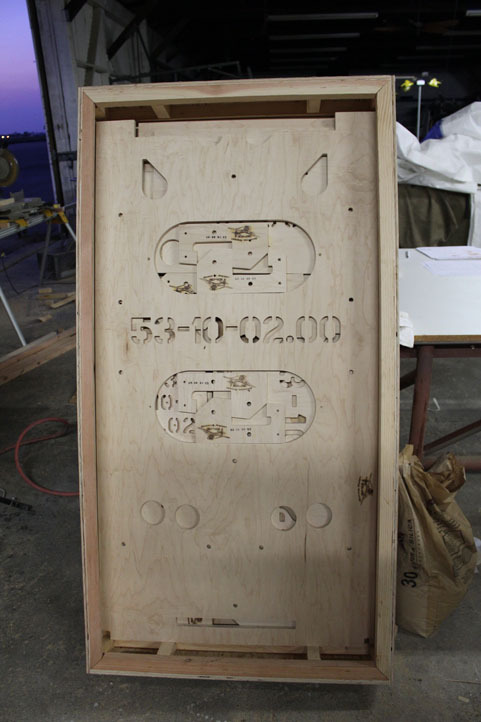 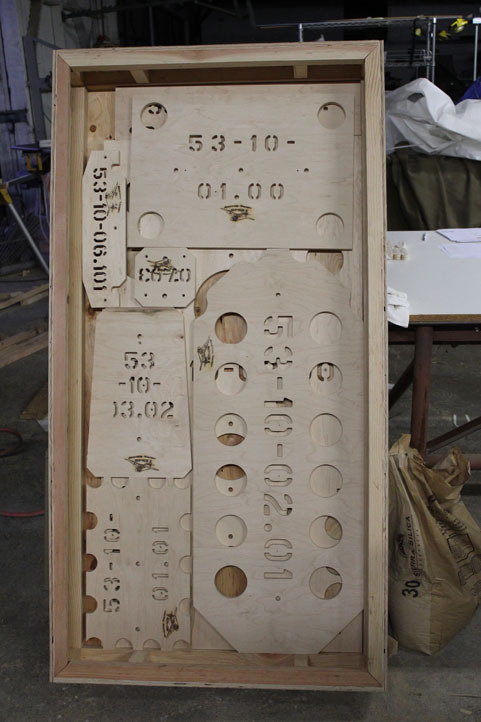 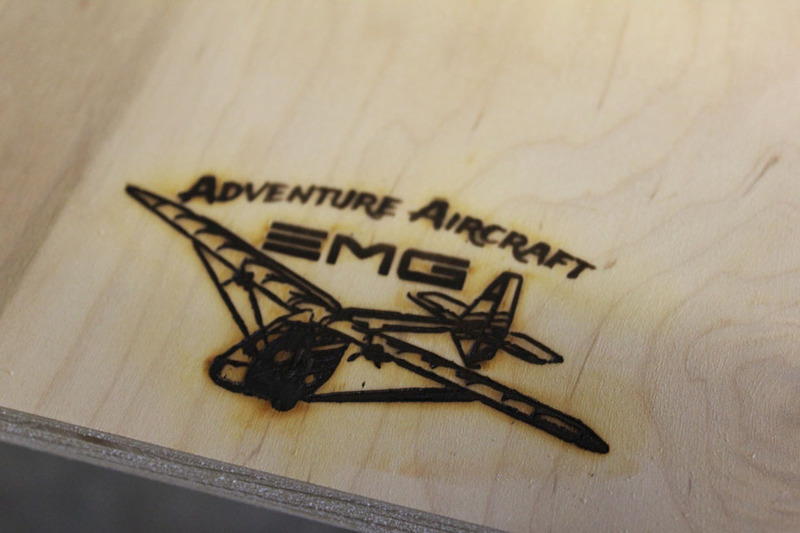 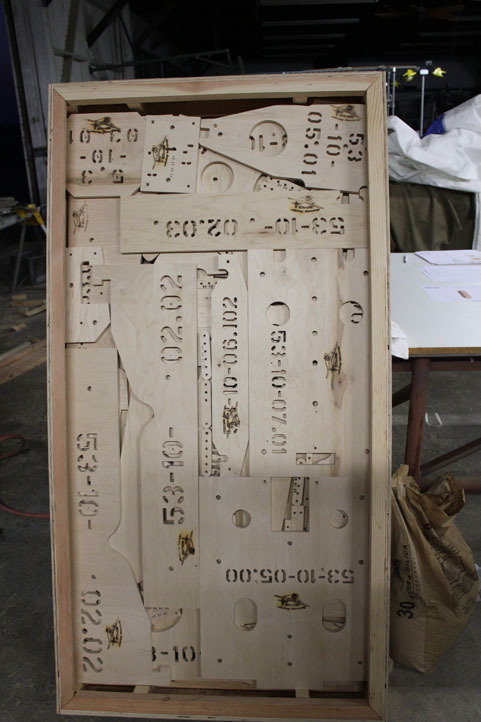 In the picture below we see the box with all of the welding fixtures necessary to build the fuselage frame on the EMG-6. 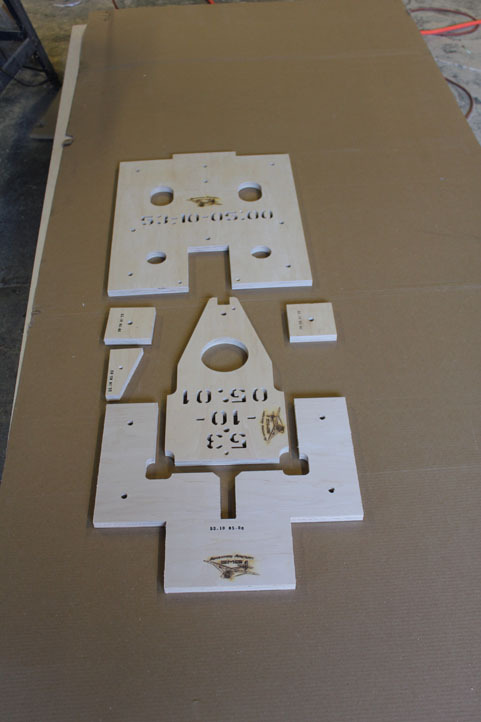 Although we are still very early in the development of all of the kits many customers enthusiasm is such that we are trying to keep up with their desire to begin the building process. 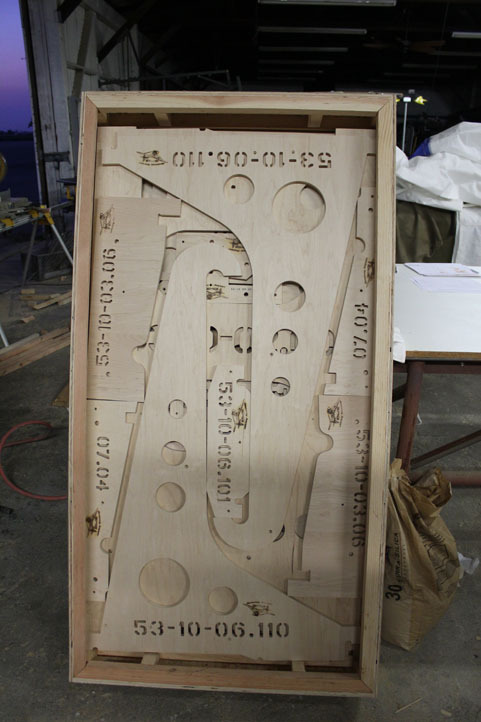 Because the most expensive and difficult portion of the aircraft to build is the fuselage frame that is where we have started. 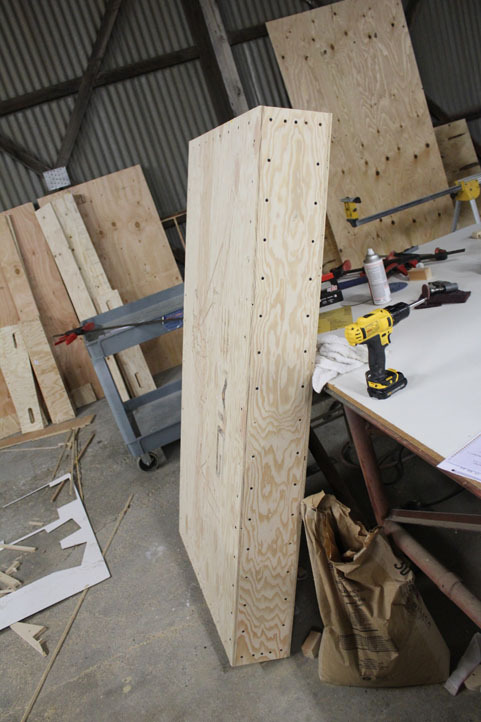 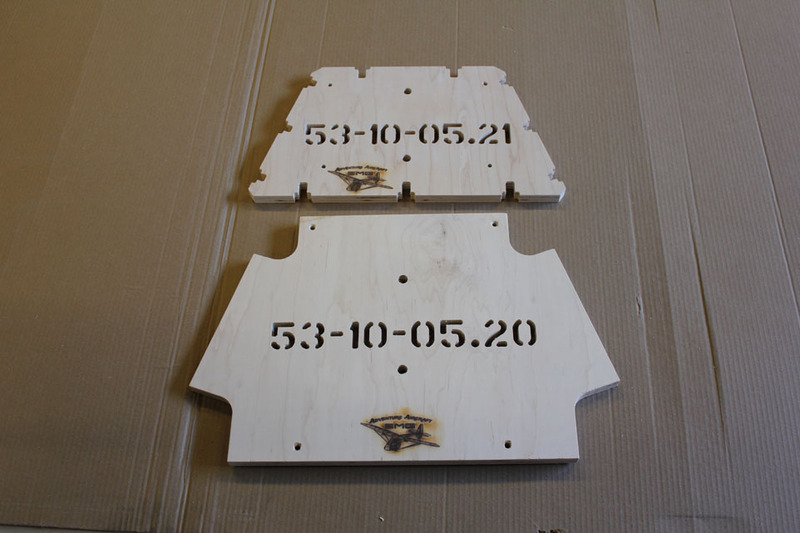 The welding fixtures in the rental kits and the kits for sale are manufactured from premium cabinet grade oak plywood finished on both sides. 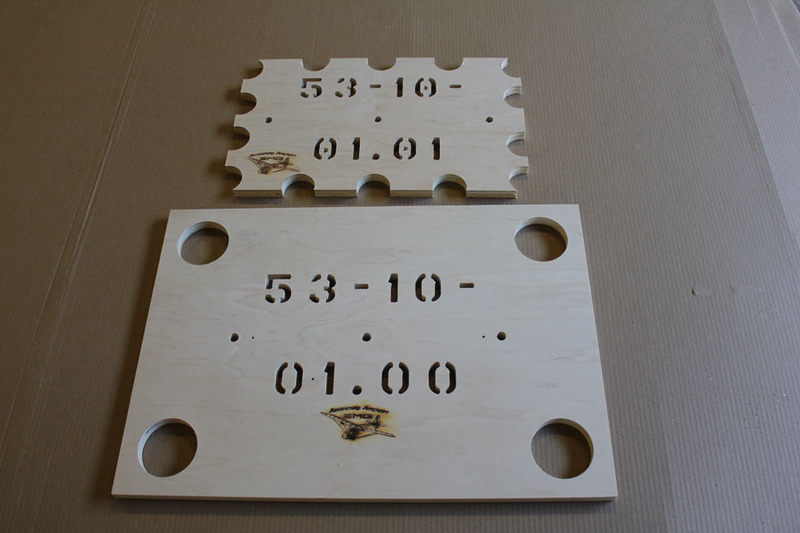 The fixtures are sanded, and assigned part numbers that correspond to the instructions, Then labeled and branded. 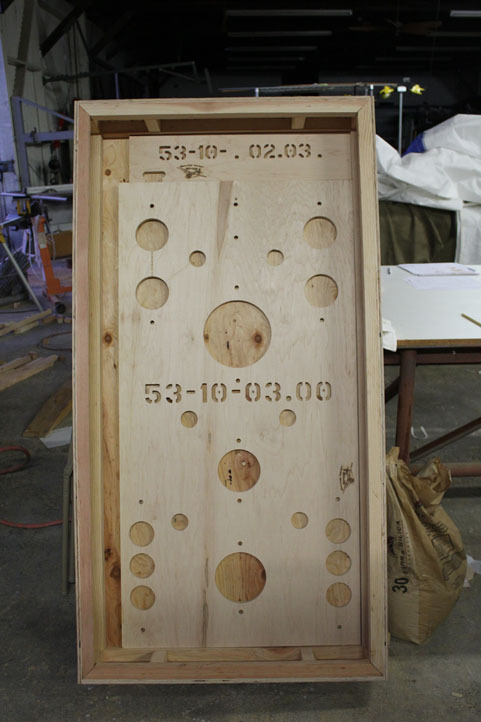 All of the welding fixtures are tightly packed within the shipping container and consists of 7 layers of parts. 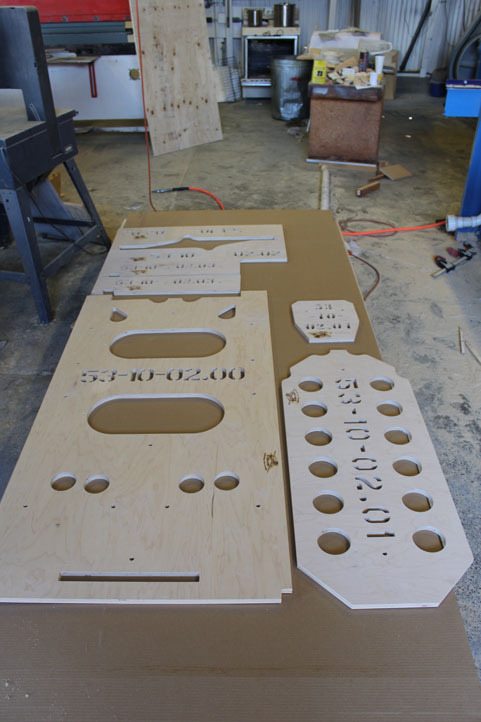 In the pictures below we see some examples of the fixtures laid out for each segment of the welding process. 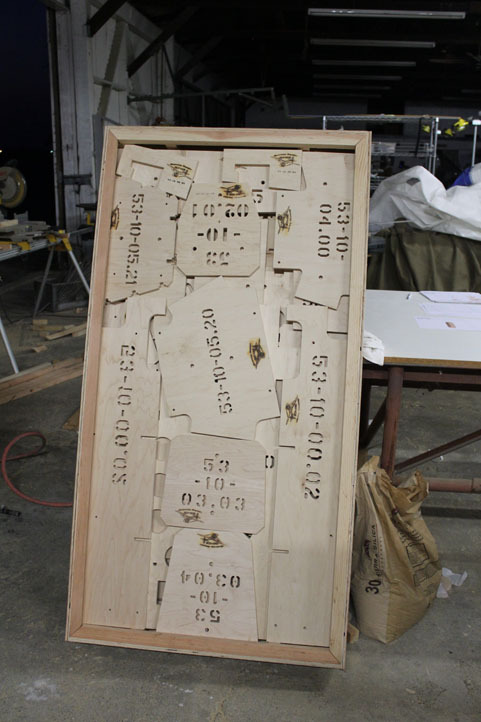 During the organizing process we made sure that each segment of the welding fixture was complete before we boxed it. 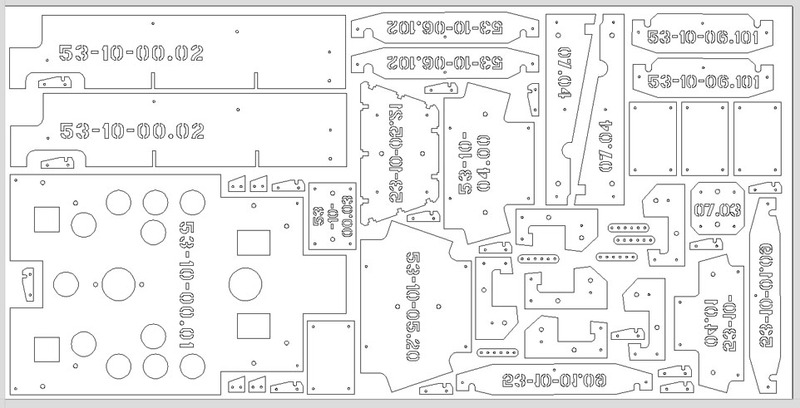 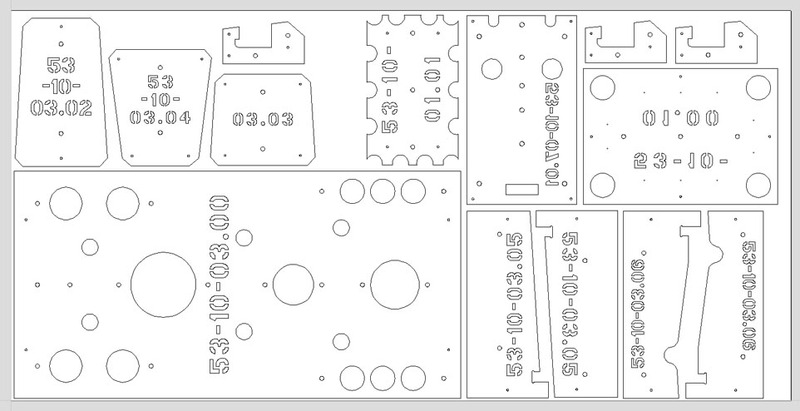 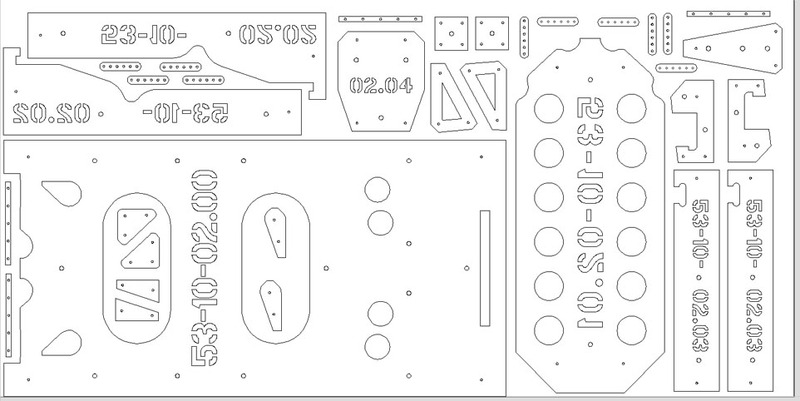 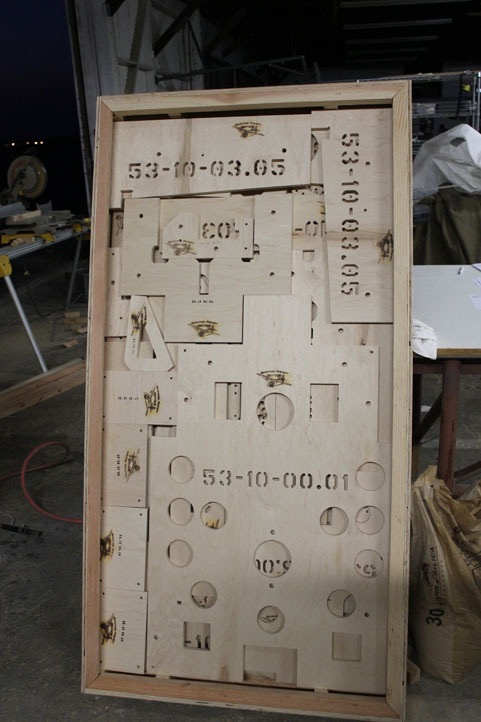 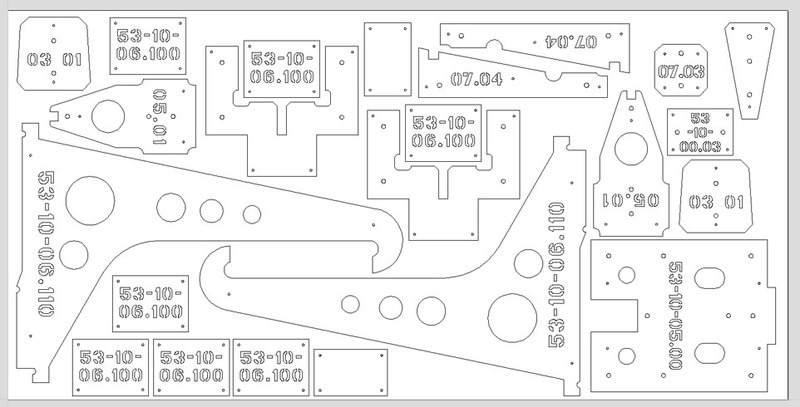 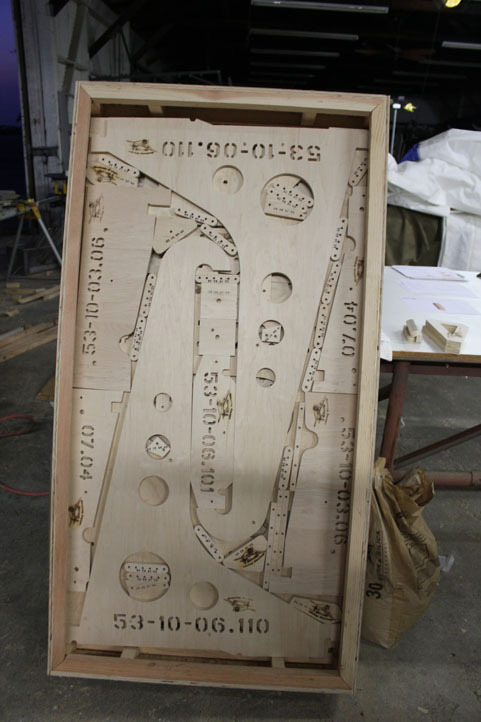 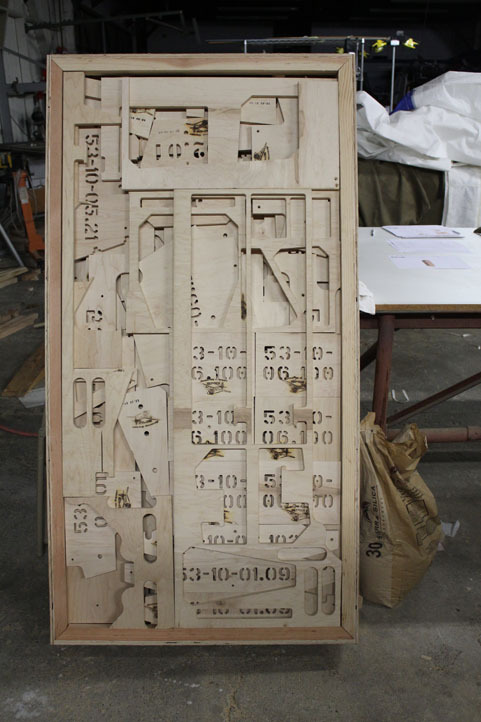 In the diagram below are all of the DXF files laid out on(4) 4 x 8 sheets of plywood as we would machine the components. 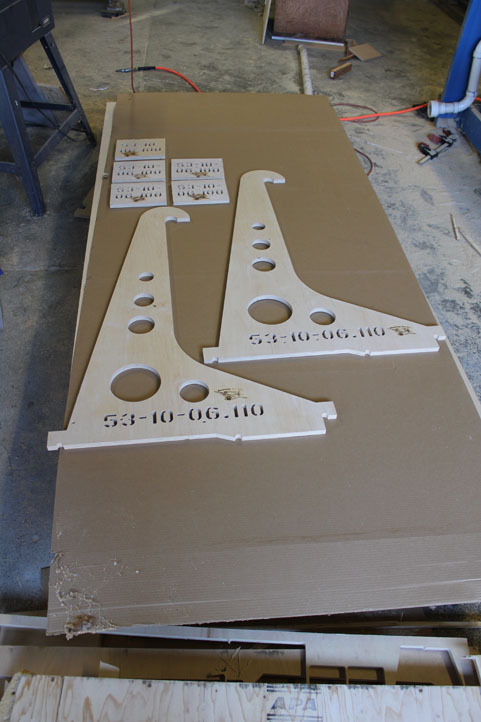 These DXF files are also available for download which may be a much more cost-effective way to manufacture a set of fixtures for those individuals that are overseas or far enough away making the shipping costs of the rental fixtures nonviable.